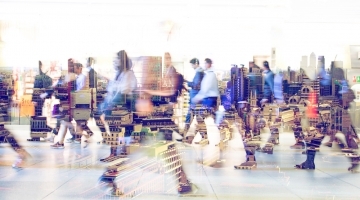 Written by three Brandon Hall Research analysts, Adam Cunningham-Reid, Gary Woodill, and Richard Nantel, “Mobile Learning: Tools and Technologies for Creating Engaging Content” is a snapshot of the mobile learning landscape today. We have compiled information about some of the top rated mobile devices and applications, as of the date of this publication, which have received good ratings by users and syndicated technology reviewers. 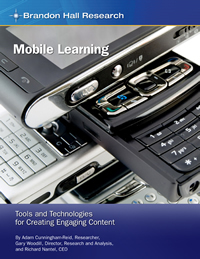 This report examines the content development tools available for mobile learning. This report also examines the platforms used to support mobile learning. The final section examines the devices, such as smart phones, personal digital assistants (PDAs), and media devices, suitable to mobile learning.